I am interested for travels and sharing knowledges. In the past years, I visited Brazil, Costa Rica, United States of America and Taiwan. In the next days, I will prepare my new destinations in the life for learning and sharing experiences. Football soccer, Reading, Airliners and others. 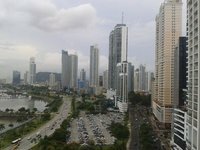 Mis viajes - My trips - Viajes por Panamá y el Mundo. Travels in Panama and the World. I live in Panama and my house is located near to Tocumen International Airport (PTY). » Ask adosuarez a question about Panama_Tocumen_International_Airport. » Ask adosuarez a question about Panama.